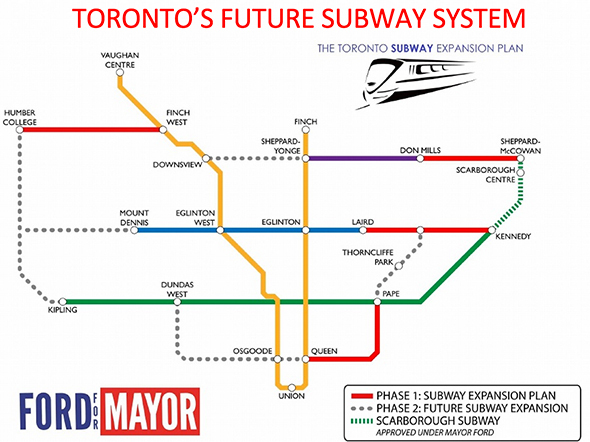 The above is the subway plan promoted by Rob Ford, and later Doug Ford, in the 2014 municipal election. Thanks to today’s pandering to suburban councillors demanding their own subway lines, below is the John Tory-backed subway plan. This entry was posted in Politics, Toronto, Transit and tagged John Tory, Scarborough, Subway. Bookmark the permalink.